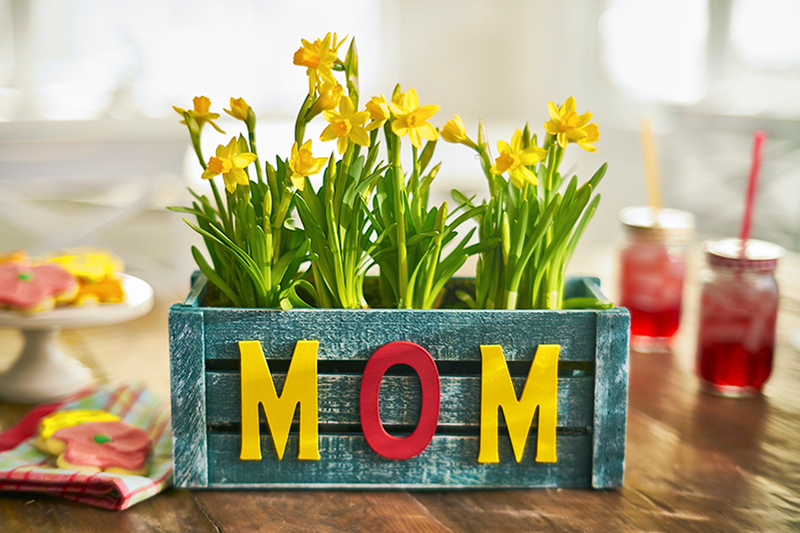 Blooming or flowering plants are a great gift to give Mom on Mother’s Day. 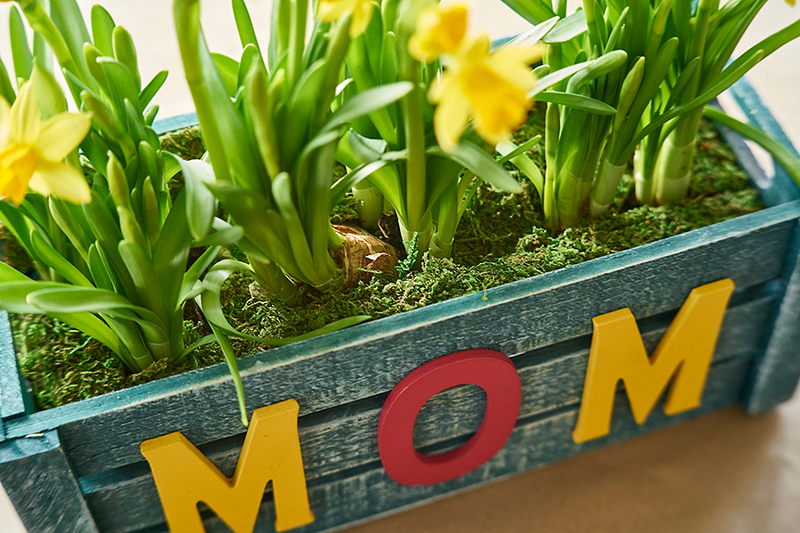 Creating a personalized planter in which to display the plants makes it an even better gift! 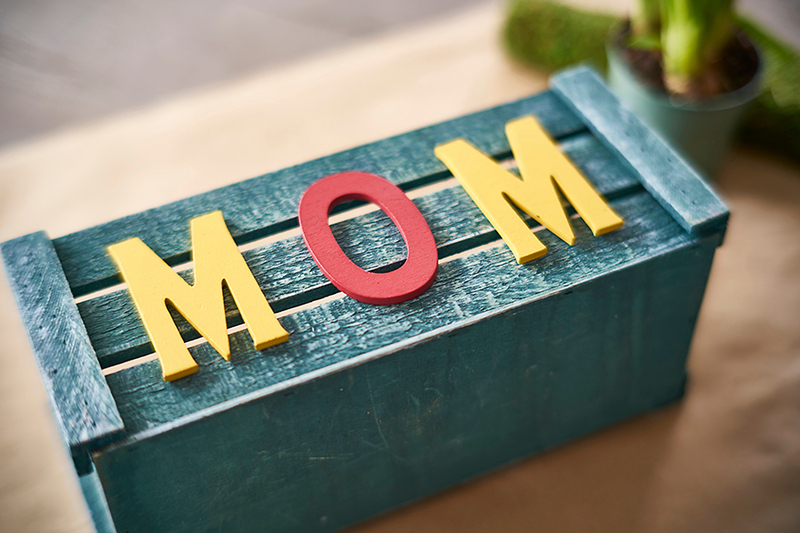 Here’s an easy and inexpensive way to do just that. 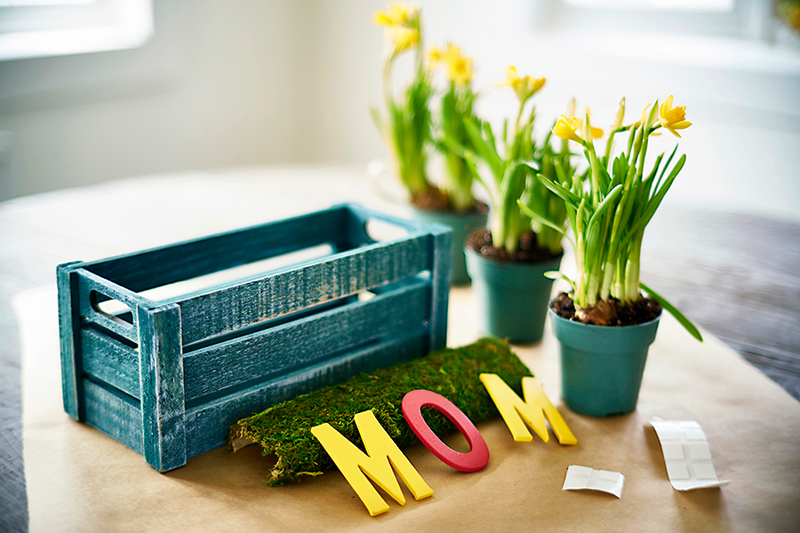 I picked up this rectangular wooden planter in a national craft store (and of course used one of their weekly 40%-off-any-item coupons) and the wooden letters (that were in the clearance aisle)! 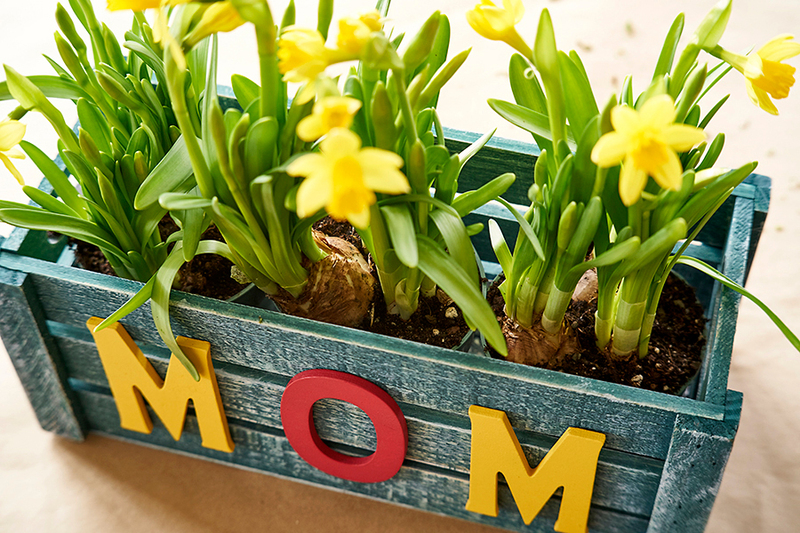 Next, I chose the yellow daffodil plant to complement the lettering. Because I planned to keep each plant in its original pot, I needed to line the bottom of the planter to contain the run off when watering the plants. 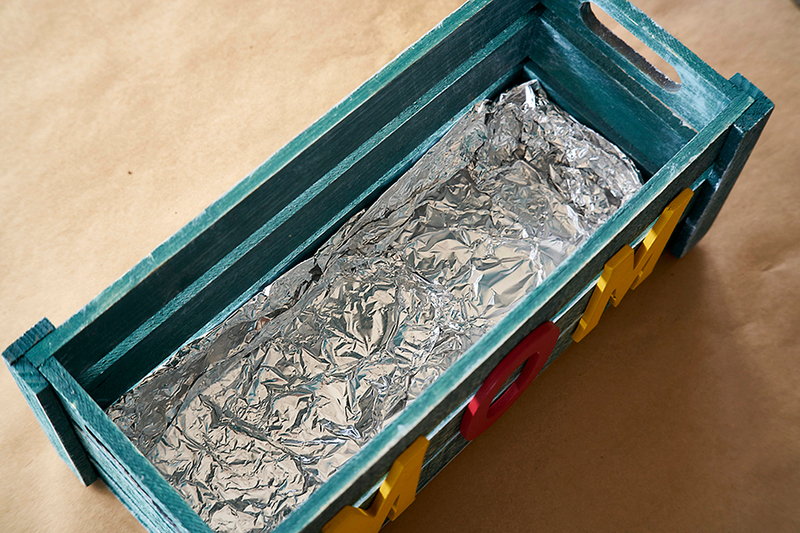 Tin foil is good to use because you can easily mold it to the desired size and shape. Place the plants into the planter. Covering the soil at the top of the pots with moss disguises the fact that there are individual plants and gives it a more finished look! 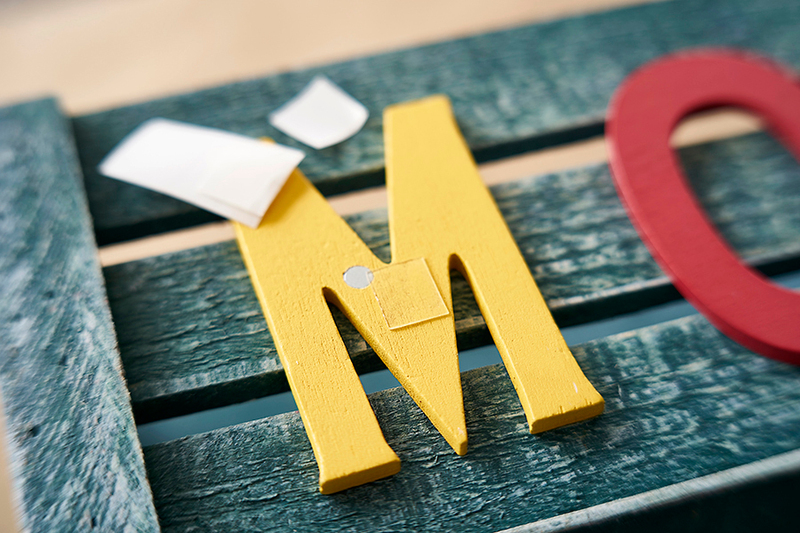 What is Each Wedding Anniversary’s Flower?